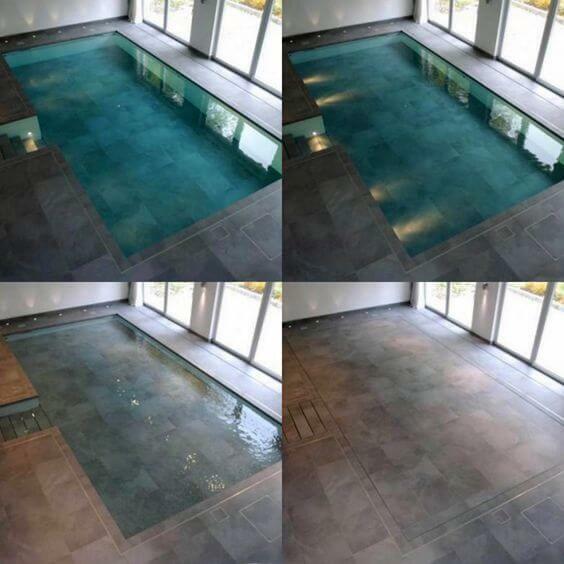 Hidden water pools are the latest craze in pool design and they look as amazing as they sound. Created to offer sophistication and privacy, these pools are fit for kings. Of course, they come at a price that might seem a bit too much for some of us. If you are wondering how much are hidden water pools, the answer is a lot more than regular ones! They offer endless features, and they come in all shapes and can be designed to fit your own back yard if you are willing to invest a few thousand dollars in your own hidden escape. A hidden water pool adds elegance and an aristocratic look to your surroundings, and it can greatly improve the overall aspect of your garden. They come with a lot of benefits, but also with high maintenance costs. So, how much does a hidden water pool cost and what are the best designs available? Hidden water pools are different than regular ones because of the features it offers. It is mainly designed to make the best of an area and offer it multi-purposes, so your pool can turn into a dining area, or even a patio when you’re not using it. A raised platform hidden water pool is created by using a platform that can be lowered to any desired depth. The water is stored in a reserve and pumped up into the pool, with a simple push of a button. As you can imagine, the hidden water pools price varied depending on the difficulty of the execution and their size. The price ranges from $25,000 to $65,000, but even if the hidden water pool price seems expensive, they offer various features that traditional pools can’t offer. A sliding cover hidden water pool is built to ensure a double use of your space; you can uncover the pool when you have an outdoor barbecue, and turn it into a patio when you need to free up more space. The sliding cover can be made of different materials according to the desired design, from wood to ceramic tiles that will greatly improve the look of your garden or yard. Hidden water pools builders explain that the high price of invisipools is due to the high technology that goes into creating such a beautiful pool, and also due the fact that they are environmentally friendly. Hidden water pools cost estimate for a sliding cover pool starts from around $30,000 depending on the size, depth and the material chosen for the cover. Because of their costly price and high-maintenance requirements, some people already considered hidden water pools out of business, but this is not true. The proof of the fact that hidden water pools are here to stay is the choice for indoors hidden water pools which are the most expensive type of hidden pools available. Many luxury lovers chose to have an indoors hidden water pool installed in their houses, and they don’t mind the thousands of dollars they have to spend for such an innovative technology. These pools can come with additional features such as lights and fountains, so the sky is the limit when you want to impress your neighbors and friends. As hidden water pools, reviews prove, owners are impressed by their new investment, and some even say that the cost of hidden water pools is eventually ameliorated due to the fact that the chemistry of the hidden pool is easier to maintain than the one of a traditional pool. 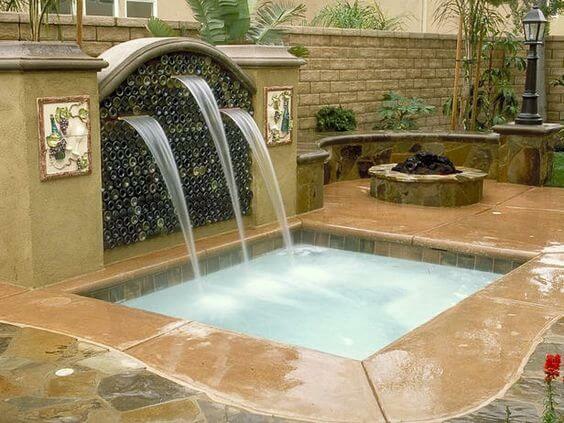 The Patio hidden water pool is one of the most common choices due to its numerous advantages. Created to take advantage of every bit of space available, this elegant pool can turn into a perfect patio that can host your summer night parties. 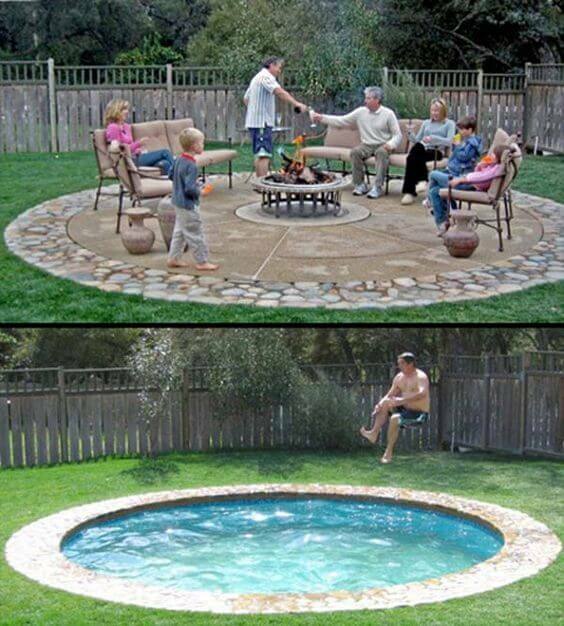 How much is a hidden water pool that can turn into a patio whenever you want it to? 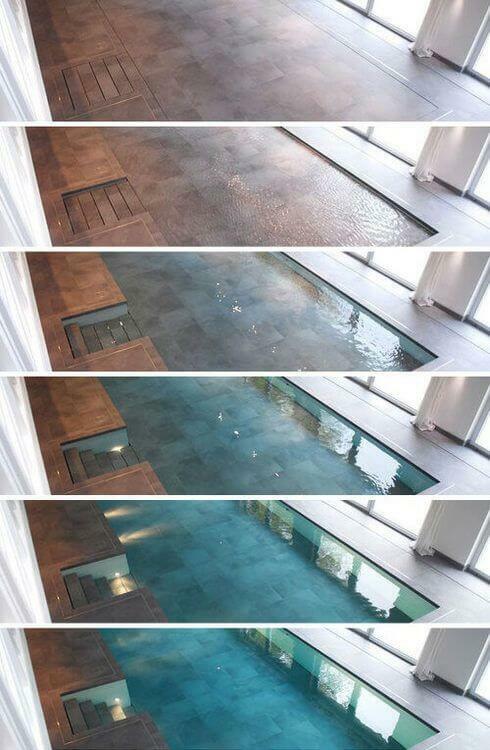 Well, less expensive than the indoors type, but still more costly than a traditional pool. If you want to go for a small one, be prepared to take out at least $27,000 out of your account. The main hidden water pools company assures you that your investment will be worth it when you celebrate your birthday by your stunning pool that can easily be transformed into a dance floor. The design and cost of a hidden water pool that has a circular shape vary according to your needs and requirements. You can choose a simple, less expensive design or you can go for a larger pool with a deck and other features which obviously means more money. If the price of hidden water pools seems a bit scary and you are still undecided, there are a variety of hidden water pools video recordings that you can check out. Seeing such an amazing pool in action will certainly turn you around, and you will not regret your decision when you enjoy a cocktail by the side of your new hidden water pool. A rectangular pool is a traditional choice for most people as it makes the best of the available space. 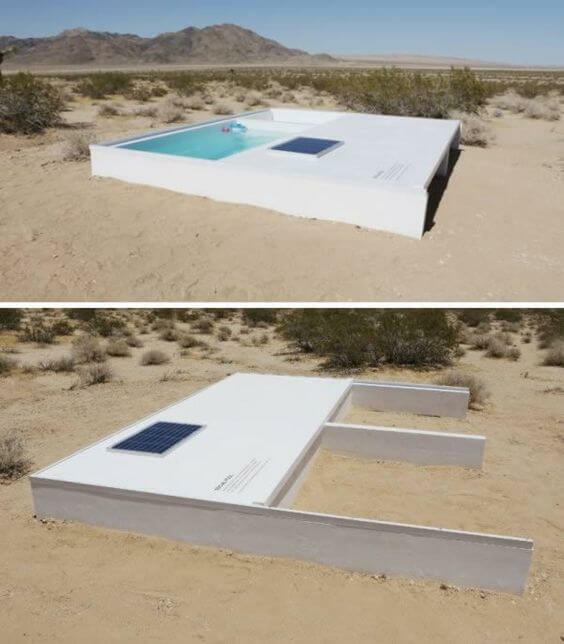 For people who want more than the mundane pool found in every backyard, the rectangular hidden water pool is the best choice. Apart from using the space to its whole potential, it adds another dimension to it, by turning it into a dining area when you are not using the pool. The transformation is easy to make, and it takes less than a few minutes for your pool to become the perfect setting for a party that will make all your neighbors envious. As usual, the hidden water pools price range starts from a minimum of $25,000 for the smallest, most basic design and can go up to more than $70,000 if you add special features and high-technology cleaning systems. 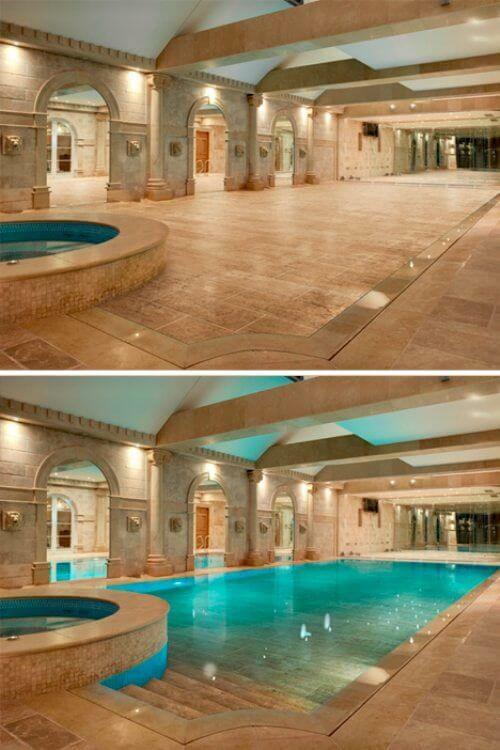 We saved the best, most amazing pool for last, so take a look at this beautiful fountain hidden water pool. The unique design will instantly transport you to Ancient Greece with the elegant tile work and remarkable architecture. It’s a classic looking, original feature that will greatly improve the overall aspect of your yard, turning your late night parties into unforgettable moments. The average cost of hidden water pool with additional features starts at around $40,000, but it’s worth spending some money for a little bit of Paradise in your backyard, isn’t it? This exquisite design will transform the look of your surroundings and greatly improve the value of your property, so you should go for it. 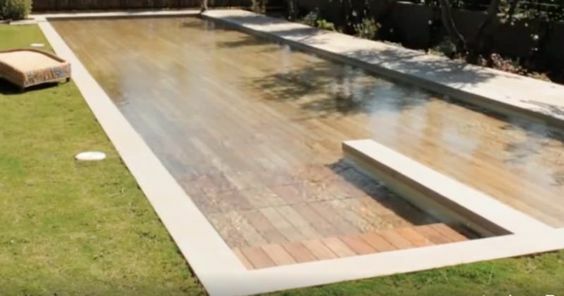 Hidden Water Pools are the latest craze when it comes to design, and they are slowly but surely taking the place of traditional pools in more and more gardens. Of course, they come at a high price, but they also deliver quality, safety and an unforgettable experience which you will certainly appreciate. Invisipools are here to stay, and the owners of such stunning pools keep on praising their beauty and unique design. Who would not enjoy sipping a cold cocktail at the end of a relaxing summer day on the side of the pool than can quickly be turned into whatever you need it to be? Comfort and luxury come at a price, but in this case, it’s undoubtedly money well spent.